Most of us need pens on a daily basis, so why not treat yourself with the finest pen available? A luxury pen is a lavish — yet practical — purchase that can pay off with years of reliable use. Some luxury pens can even last a lifetime. What is a luxury pen? The Cross Edge Capless Gel Ink Pen writes smoothly, is comfortable to hold, and features front-load refill technology. The capless rollerball pen features a patented click-and-slide mechanism, in which you slide to open and click to close for easy single-handed operation. The timeless style is encased in metallic fusion resin and features a punched-out logo detailing. This is available in various finishes and ink colors. You can also choose between ink and ballpoint pen refills. Many reviewers said that it writes like a fountain pen with less hassle. It is backed by outstanding online reviews, including hundreds of five-star reviews on Amazon, as well as a lifetime mechanical guarantee. The IDEAPOOL Natural Handcrafted Rosewood Ballpoint Pen Set writes smoothly and has good flow. Made with 100 percent natural rosewood, it is light and very comfortable to use. This looks elegant and comes from the trusted IDEAPOOL brand. It includes a stainless steel black ink refill and gift box. It is also backed by outstanding reviews and a refund guarantee. Amazon’s #1 best-seller in fountain pens, the elegant Pilot Metropolitan Collection Fountain Pen is the best luxury fountain pen you can find. The unique laser cut nib delivers smooth writing, making it ideal even for fountain pen beginners. 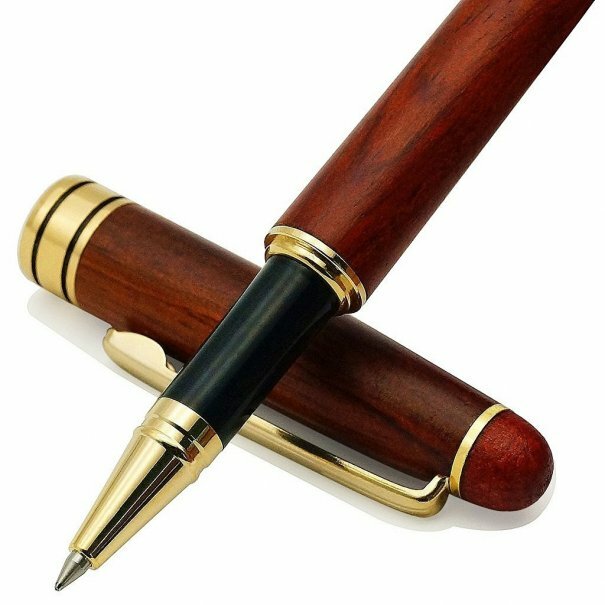 The sleek pen has a timeless design and sophisticated features, like durable brass barrels, premium matte finishes, and polished accents. This includes a black ink cartridge, a Pilot Press Plate Converter, and a gift box. It is available in various colors and writing styles. It is also backed by outstanding online reviews, including thousands of five-star reviews on Amazon. The Parker IM Royal Blue Chrome Trim Ballpoint Pen is the best click top retractable ballpoint pen you can find. It features the signature Parker arrow clip and sleek blue chrome trim. 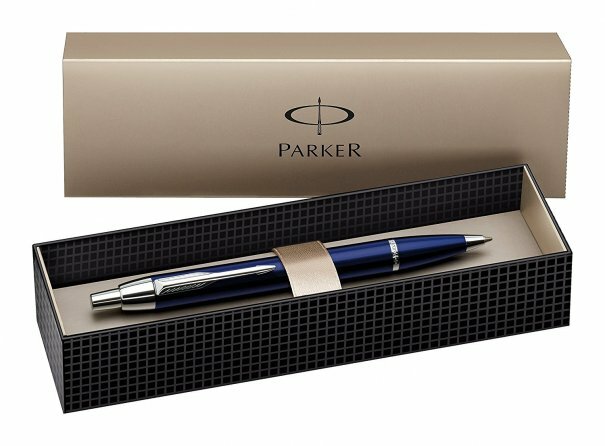 It comes from the trusted Parker brand and includes a gift box. If you’re okay with spending more on your luxury pen, then the Montblanc StarWalker Ballpoint Pen is the best you can find. It features a twist mechanism with floating Montblanc emblem in the transparent cap. It is made from black precious resin and features ruthenium-plated clip and rings. The upscale pen is widely recommended by pen experts. It also comes from the highly-regarded Montblanc brand. And those are our recommendations for the best luxury pens. As always, be sure to check Wise Bread's Buying Calendar to learn when and how to buy just about anything!